It’s time to go electric! 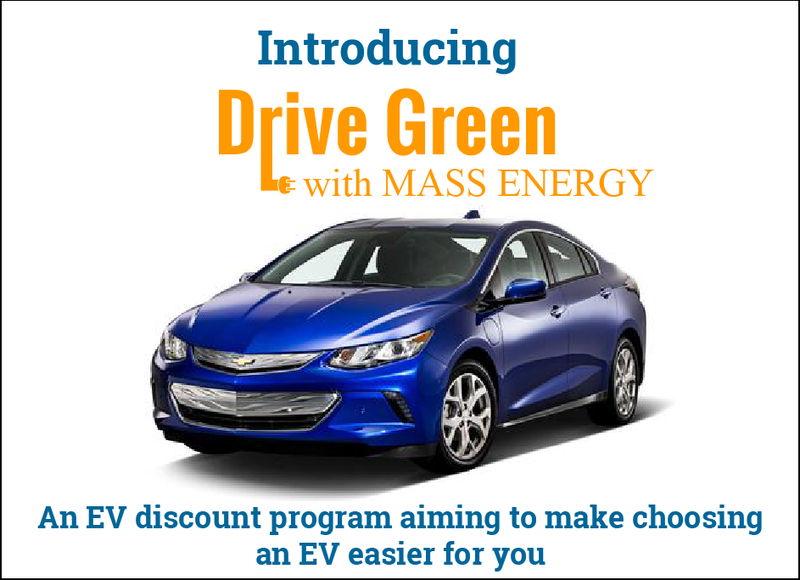 Drive Green with Mass Energy is a limited-time electric vehicle (EV) discount program aiming to make choosing an EV easier and more affordable for you. Anyone is eligible to participate and receive a discount to purchase or lease a Nissan LEAF, Ford Fusion Energi, Ford C-Max Energi, or Chevy Volt at a participating dealer. Many EVs qualify for federal tax credits of up to $7,500 and state rebates of up to $2,500. Visit www.massenergy.org/drivegreen to get started. Don’t wait! This program ends February 28, 2017.